About a month ago, my son purchased his first car. 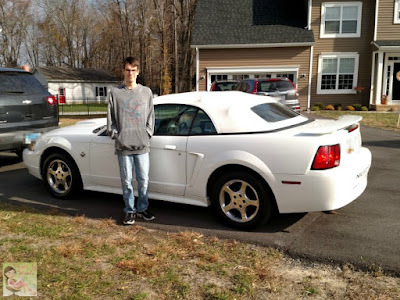 We had spent the past few months test driving cars at the auction lot next to his school, I thought we'd never find a car for him. Two and a half years ago he started working as a dish washer at a local cafe. So since he was 15 he's been saving up his money! I think at first he was just working to have spending money, but I'd say when he'd had his learner's permit for about 6 months he started to realize what his money was going to go towards. I think the auction place has the corner market on kids at the high school who are just learning to drive. Buddy would go there after he got done with school and we'd peruse the lot to see if they had any new cars. We weren't particular, but I knew what I wanted and didn't want. This was my 3rd child getting their first car. This was the first time one of them has had to pay for their first car. 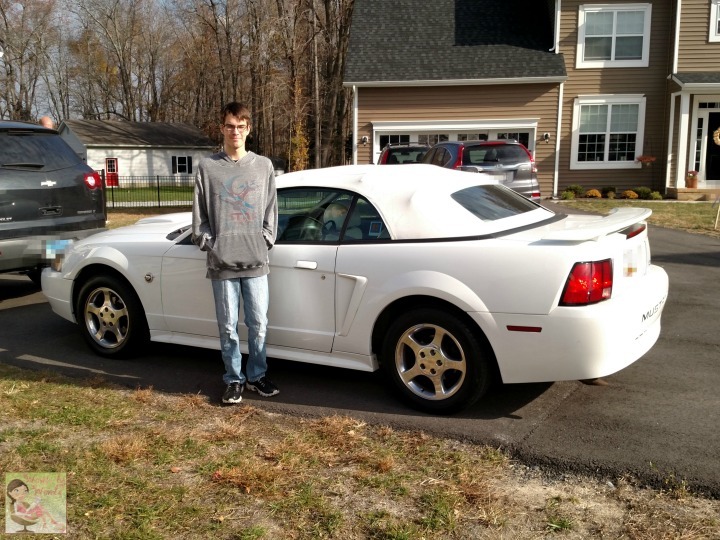 Knowing my son, I knew the type of car I'd allow him to get. There were definitely a lot of factors that went into picking the right car. What is your budget? I would highly encourage you to expect your child to pitch in some way with their car. My girls had to pay their monthly insurance and gas for their cars. Know what you're willing to pitch in and what your child will have to pitch in. Set your limit and stick to it. Remember that the number you see on the car is never the bottom line. Don't only look at automatics. Manual cars are awesome to drive. 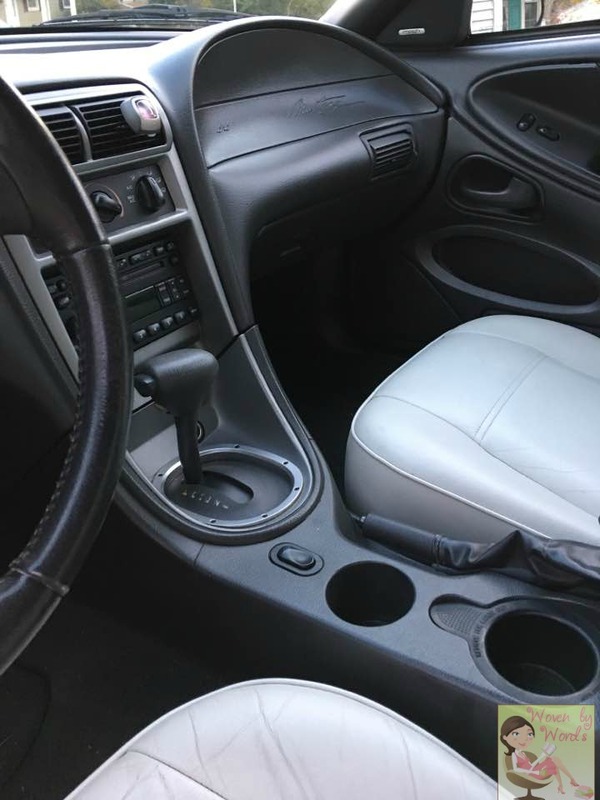 My first car was a stick shift, and I could barely drive it off the lot! I would suggest even if you get an automatic, you teach your child the basics of a manual. Find a friend who will let you or if they're willing, teach your child how to drive it. I think is especially important for girls in case they're ever in a situation that requires them to drive a stick in an emergency. Manuals are typically cheaper to repair as well. How many miles are on the car? I knew that we'd be looking in the 100K mile range for any car my son would be able to afford. If you want something under 100,000 miles, know you're going to be paying for it. The higher you go with mileage, the more you'll probably be putting into the car with upkeep. Be sure to get Carfax report on the car. 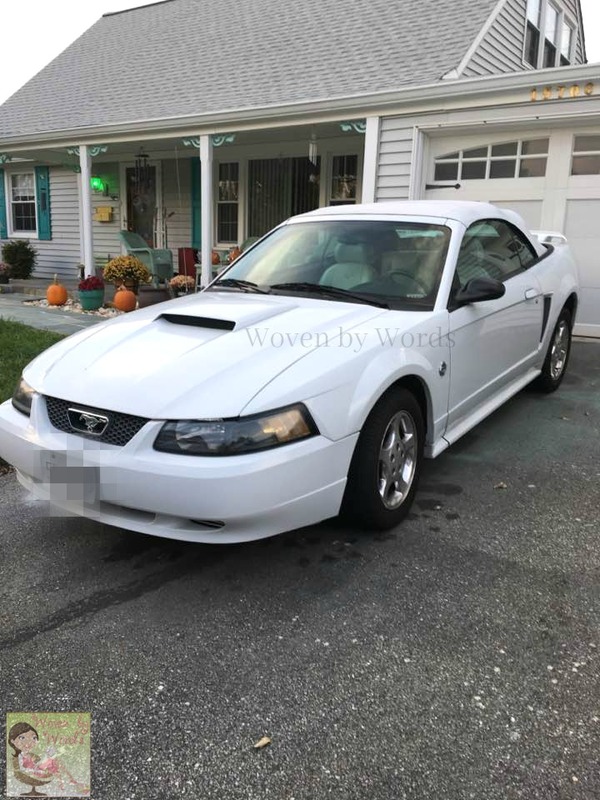 Every car that we saw at the auction lot gave a detailed account of how many owners there had been, any recalls, any accidents, maintenance, and more. You do NOT want to drop $7000 on a car that has a bent frame from an accident that you didn't know about. What's the insurance going to cost. Any car you're interested in, get the VIN and call them to find out an estimate. Are you going to get full coverage or just liability? If you can swing it, I'd definitely get full coverage. Unfortunately, that's not doable for us right now. Also consider getting AAA for them in case something happens and you're not available to help them with whatever they might need. What is your weather like? I know, strange question, eh, but here's the thing, if we still lived in Minnesota, there's no way my kid would've gotten the car he has. It would've been entirely impractical. A rear-wheel drive sports car in winter for a new driver, worst idea ever. Being in Maryland where it might snow once or twice a year, no problem. I did consider a AWD because that would be good no matter the weather, and it's size made it one that I would've felt better with him in. If you're in sunny Florida, your teen's options are wide open! How responsible is your kid? My son is pretty trustworthy! He's not a hot shot. He paid for his own car which helps him be vested in being responsible for how he drives it. Something happens because he's screwing around while he's driving...he has no car and he has no money. I drove every one of the cars we considered for him at the auction lot. There was a 6 speed Subaru that I test drove, and that thing was so fast & tight, as soon as we go back I said, "no way!" That thing would've been ticket city for any responsible adult, let alone a teenager! HA! Does it have updated safety features? We know how important air bags are in cars today. Thankfully this car has them. Not as many as the newer cars, but a couple are better than none. It has traction control and 4 wheel ABS! There's a lemon law for a reason! If you purchase a car, take it to a mechanic the next day and have them look over the car! If they find something wrong with it mechanically, take it back immediately! Find out if they're willing to repair it. If not, get your money back and walk away. Is the car clean? I know, this might sound basic, but some of the cars we drove at the auction lot were not in great condition on the inside. Owners just dropped them of "as is". One car had the rearview mirror siliconed to the windshield. Wow. There was also a car I didn't know much about. Actually hadn't heard of the model before so I asked the auction owner. He told me he didn't know much about it either, but he was pretty sure it was from Europe. Ooo la la really?! Yea, looked it up once we got home, and nope, it was very much an "American" car, and the model was just a newish one that wasn't very popular. Europe my foot! For real, do NOT believe everything a used car salesperson says. 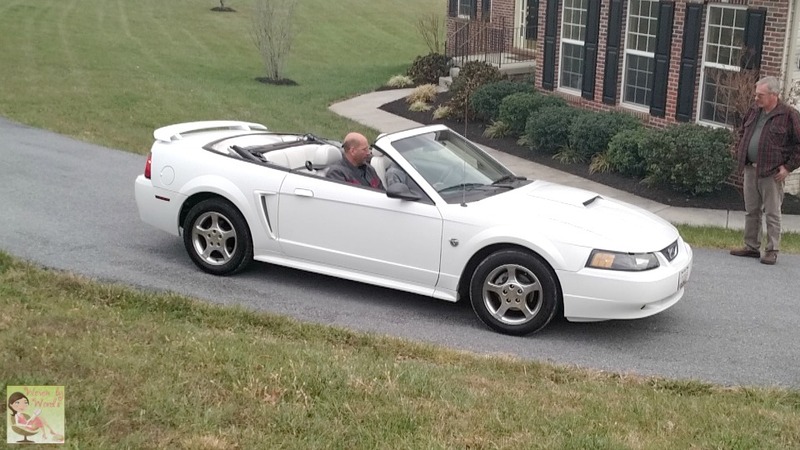 Every time we looked at a car I called dad and looked up the make/model online. What did other owners have to say about it? What do "experts" say about it? What are the basics of the car. Goodness, research is extremely valuable! 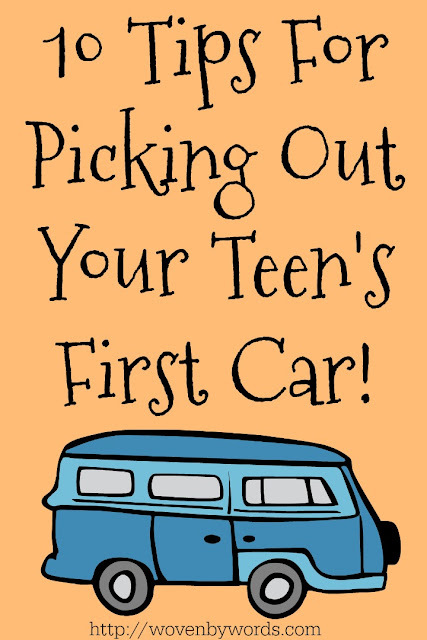 I know this is a very small list of things to consider when you're helping your child purchase their first car! It's a daunting task, but one that every parent gets to do! 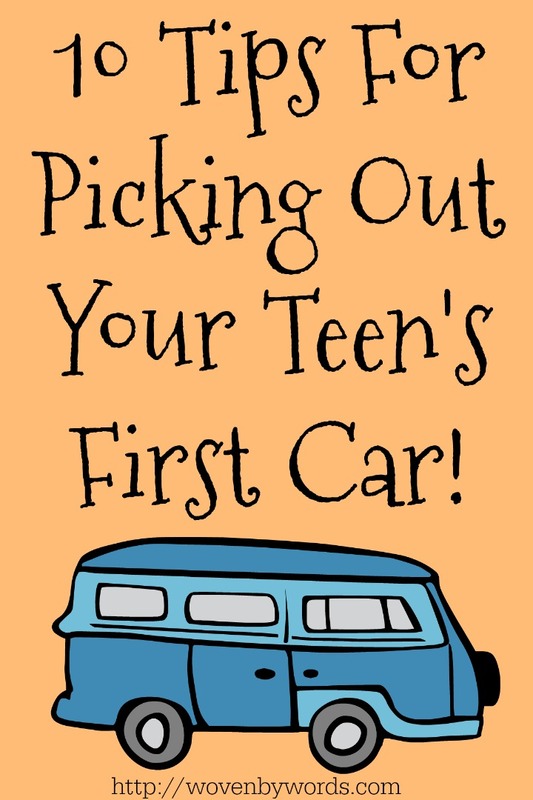 If you have any tips on helping your teen choose their first car, I'd love to hear it!